Material: 96% polyester/4% elastane warm backed woven stretch soft shell. High shaped back waistband with belt loops. One rear tear release patch pocket. Crotch gusset for ease of movement. 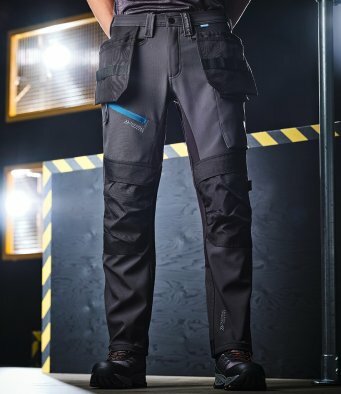 One left leg multi-function cargo pocket. One zip pocket on right thigh. Branding on front belt loop and waistband, rear pocket, right thigh, cargo pocket flap and left ankle.